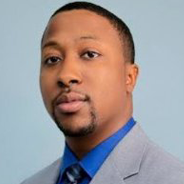 Anthony Lawrence is the founder and CEO of VOR Technology, a cybersecurity firm in Hanover, Maryland. Established in 2012, VOR Technology is a certified Service Disabled Veteran Owned Small Business (SDVOSB) that provides defense intelligence and technology solutions to national security and private enterprise clients. The company has expanded dramatically since its inception, earning inclusion on the Inc. 5000 list of the Fastest Growing Companies in America for 2016, and—most recently—growing through the acquisition of Sintel Group Inc.
For this interview, Tony spoke with Offit Kurman Business Law and Transactions Practice Group Chair Michael N. Mercurio, who helped facilitate the Sintel acquisition. MIKE MERCURIO: Let’s talk about the Sintel acquisition. What motivated you to engage in the transaction and reach out to us here at Offit Kurman? TONY LAWRENCE: Once we acquired Sintel, we saw the opportunity and we jumped on it. We tried to do it ourselves without any help and we quickly found out that it was impossible, so we reached out to Offit Kurman. You guys did a great job of jumping in and correcting our mistakes, and with your help we were able to get the acquisition done within two to four weeks, which is a record for acquisitions of that size. We couldn’t have done it without your support. MIKE MERCURIO: Thank you. We appreciate the kind words. It was a great transaction and you were great to work with. As a sidebar, you know, while we phrase it as an acquisition, it sounds like it’s more of a partnership. MIKE MERCURIO: Where do you see the combined entity going, and could there be future acquisitions or partnerships down the road? TONY LAWRENCE: Yes, even though we acquired the company, it was more of a merger—a merger of their culture and our culture. It created something new, something different, and our employees love it. They love the environment, they love the look and the feel of the new entity. And as we proceed with bidding on other contracts for the government, we’re definitely looking to purchase newer companies between 20 and 30 people, and adding them to our portfolios as divisions. We are also looking to do the same thing with Trion. If we find a small business that’s innovative and creative and they have manufacturing and product capabilities we’re definitely inclined to purchase those small businesses and add them to our portfolio. MIKE MERCURIO: With the acquisition of Sintel, now that we’re sitting in our director’s chairs, playing Monday morning quarterback, any a-ha moments—anything you would’ve done differently? TONY LAWRENCE: There’s a lot of things we would’ve done differently. The first thing would be to bring you guys in earlier/ I would’ve brought you in a lot earlier. Sintel was our first acquisition and I never realized the legalities associated with purchasing a government contracting company, because you have your normal company situations with the IRS, but when you have a federal contractor there’s a whole other layer of legalities associated with it, so I definitely would’ve sought out legal help earlier. MIKE MERCURIO: You’re obviously very planned and deliberate in your approach. Where do you see yourself in 10 years? Where do you see VOR in 10 years? Trion? TONY LAWRENCE: Traditionally we’ve been a government contractor, but we want to change that. We want to do something different, something innovative, something new. We’re hiring experts from NASA, DARPA, NSA. We want to take those individuals and allow them to work for the government if they like or, also, work on commercial programs. In the next 5–10 years, we will be primarily a research company, researching new upcoming technology, developing new technology ourselves, and producing technology and selling it commercially to the government or commercial companies. MIKE MERCURIO: I’m a big believer that all the information we need in business, and perhaps in life, is out there somewhere—it needs to be discovered. What piece of information or advice would you give to a young entrepreneur or somebody that aspires to be an entrepreneur and own a business some day? TONY LAWRENCE: Hire legal assistance early. No, that’s a joke. I would say never give up. When I first started VOR, there were many times I didn’t have money to pay my employees and it would come down to the hour. I would have the funds in the bank—we’ll get by. But there’s been several times where very, very bad things happened and I wanted to quit. But I never did. I never gave up. I kept pushing through. My advice to any person looking to start a small business is exactly the same: never give up. No matter what happens, keep at it. Keep going, and eventually with time, you will succeed.